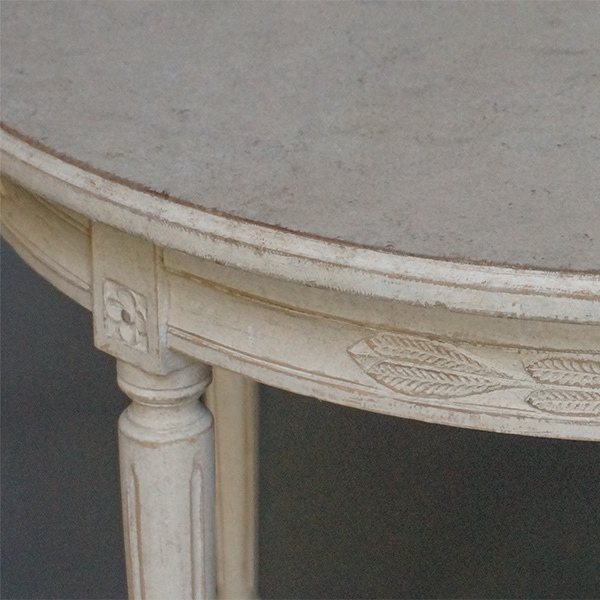 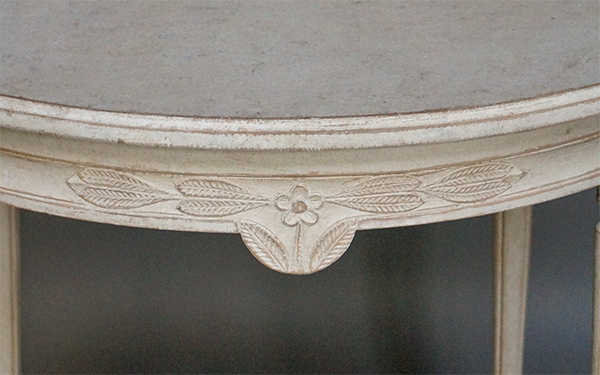 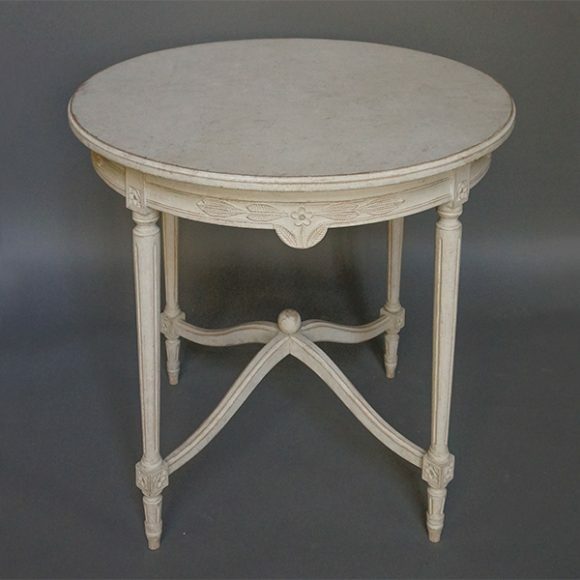 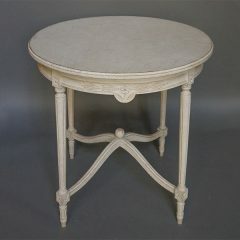 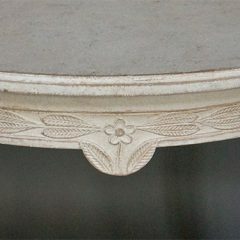 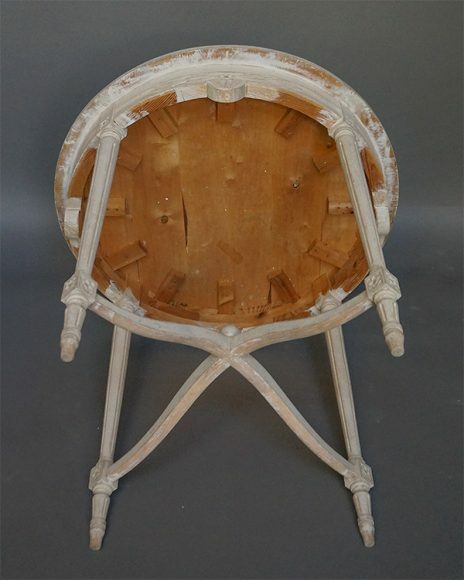 Charming round side table, Sweden circa 1910, in the Gustavian style. 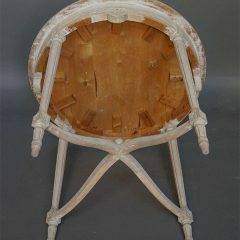 The apron is decorated with a carved flower with foliage between each of the tapering legs. 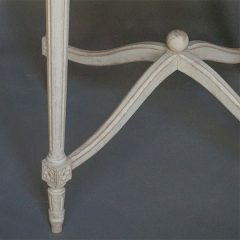 At the bottom is a gracefully arched saltire stretcher with a round finial at the center.